ESO Supernova Exhibition — How do you build a 39-metre mirror? How do you build a 39-metre mirror? 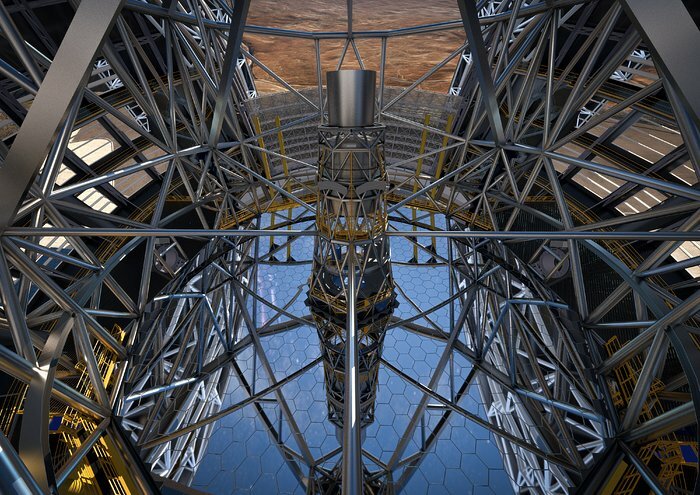 The 39-metre primary mirror of the Extremely Large Telescope (ELT) will consist of hundreds of hexagonal segments. Four additional mirrors complete the novel design of the telescope. The ELT is going to be a showcase of European technology. 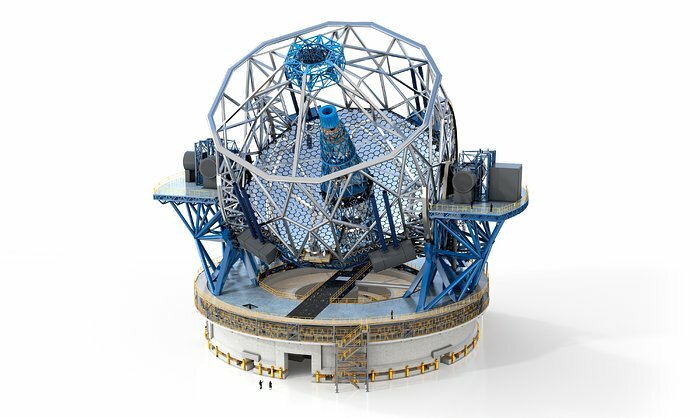 Fifth element: Prototype of the relatively small M5 mirror of the European Extremely Large Telescope, the fifth major element in the ELT’s optical design. Complex reflections: The ELT uses a novel five-mirror design. M1 is the 39-meter segmented primary mirror; M2 is at the top; M3, M4 and M5 are at the bottom of the central tower. The 10-metre Keck telescope in Hawaii was the first to use a segmented primary mirror. 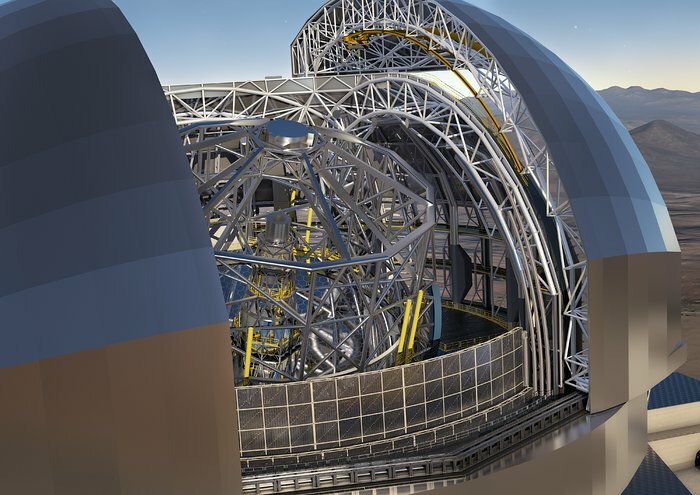 But instead of Keck’s 36 segments, the 39-metre primary mirror of the Extremely Large Telescope will have 798 segments; together they have a collecting area of 978 m2. 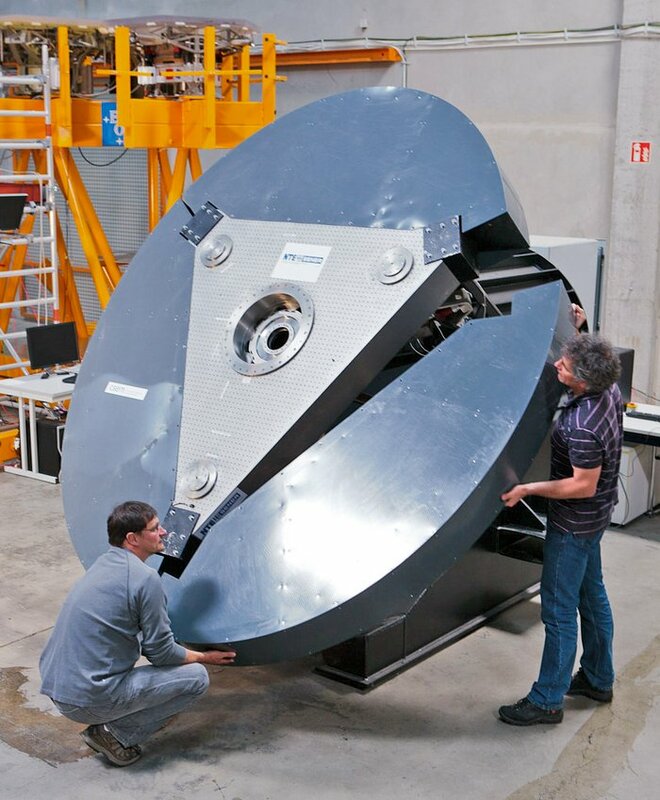 A novel design with four additional mirrors will correct the optical aberrations of the giant elliptical primary. One of these is the adaptive optics mirror with more than 5000 actuators which will correct for atmospheric turbulence up to 1000 times per second. The 3000-tonne telescope is a high-technology challenge for European industry. Keeping in shape: The intricate support system for the individual segments will guarantee a perfect elliptical shape for the ELT’s 39-metre main mirror. Thinking big: People are dwarfed by the sheer size of the Extremely Large Telescope and its suite of advanced scientific instruments. You can’t make a 39-metre mirror from a single piece of glass. 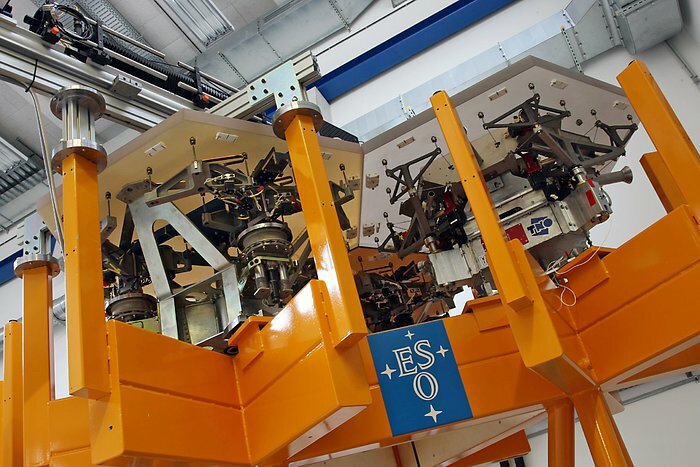 Instead, the main mirror of the ELT is like a giant jigsaw puzzle, with 798 hexagonal segments.